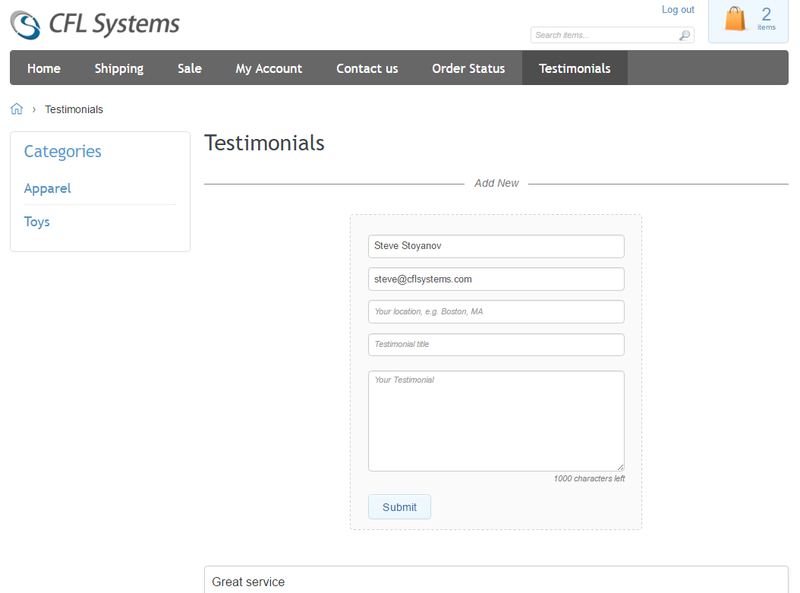 The Testimonials module allows your customers to leave a review about your service, products and overall experience with the website. 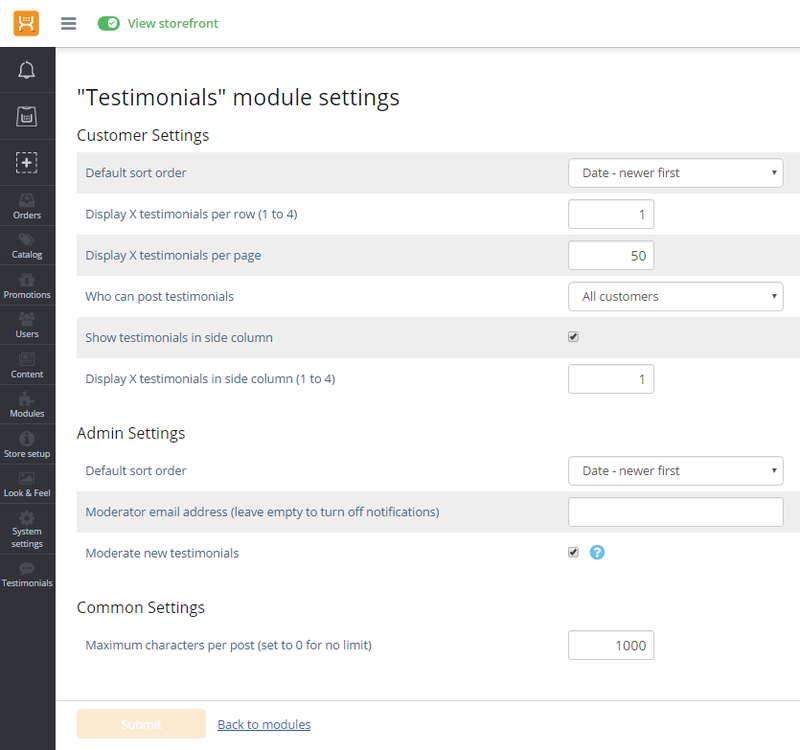 Testimonials can be moderated and admin can decide who can post new ones. 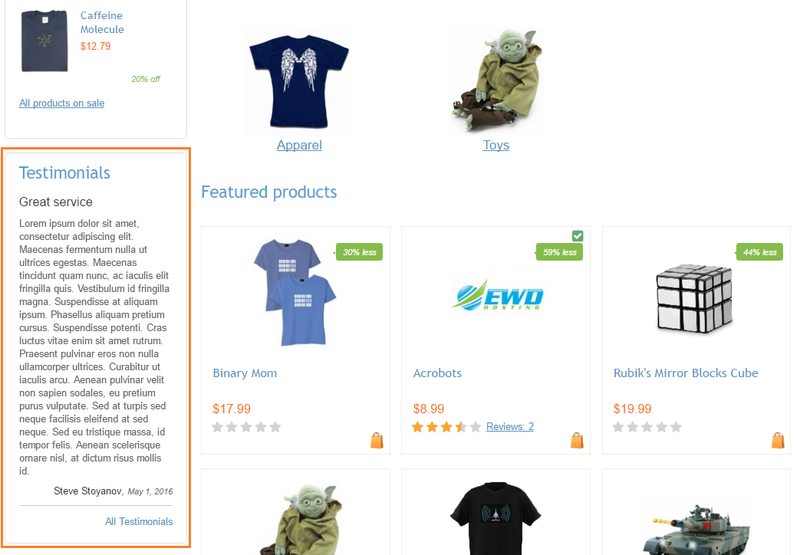 Set number or testimonials per row and page. Set who can post new testimonials. Send email to moderator when customers submit new testimonial. 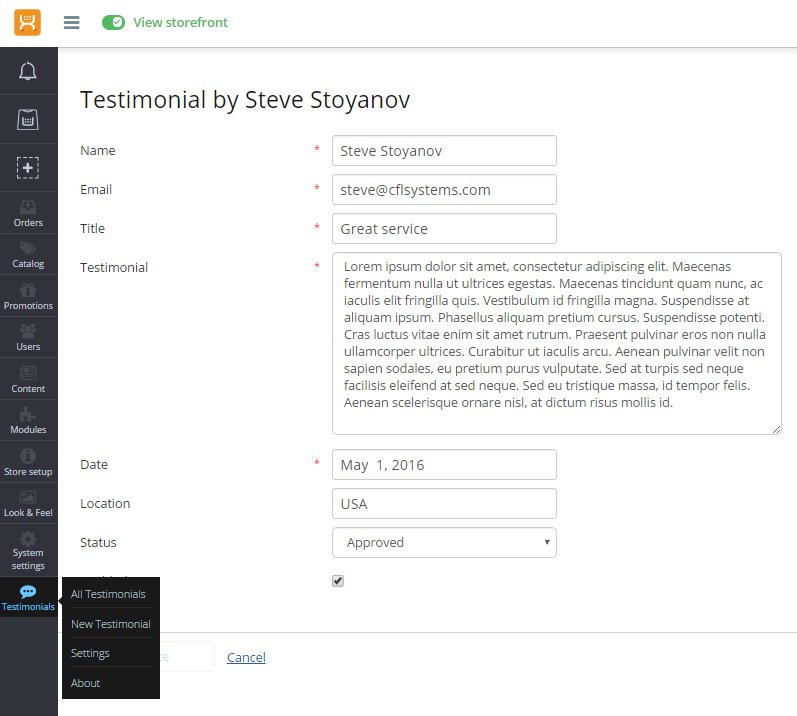 Set maximum characters for new testimonials to limit customers entries. 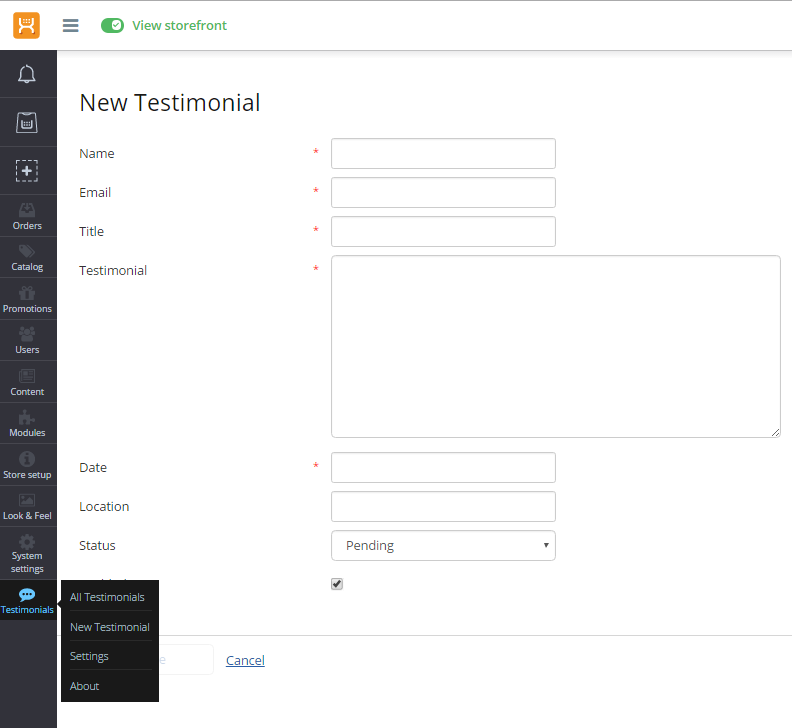 Display testimonials in the left column of the website. 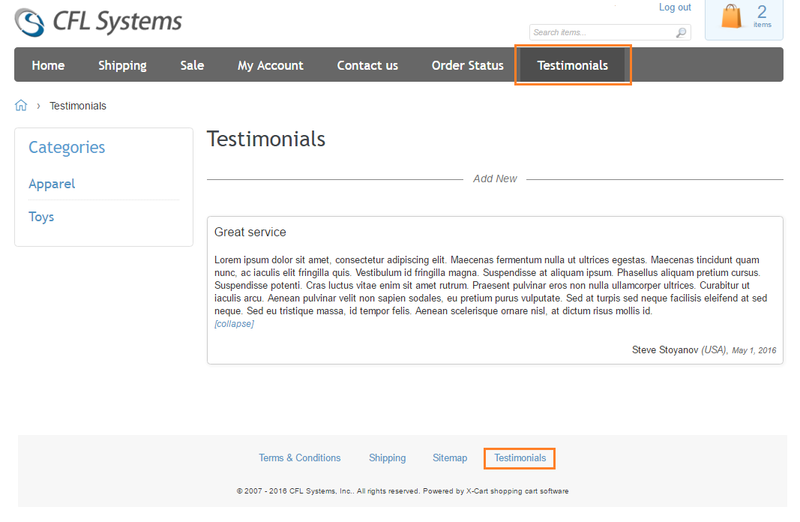 Add testimonials link to header and footer navigational menus. Testimonials give new customers confidence in your store. This testimonial manager works perfectly, very happy with it.